1. You will be saving a life. Hundreds of thousands of dogs and cats are euthanized each year in the United Kingdom simply because too many people give up their pets and too few people adopt from animal shelters. The number of euthanized animals could be reduced dramatically if more people adopted pets instead of buying them. 2. Your pet will be healthy. Virtually all animal shelters examine pets upon arrival and give them their vaccinations, and many spay or neuter them before being adopted. Additionally, many rescue shelters screen animals for specific temperaments to make sure the family's lifestyle is matched with the pet. 3. There will be a wide selection. 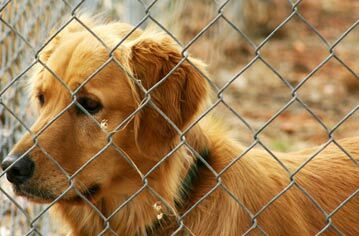 Most animal shelters have a wide selection of dogs to choose from. Young or old, small or large, kid friendly or lap dogs for the elderly. Remember that a pet will be with you for 10 - 15 years, so you want to choose a breed that best fits with your lifestyle. Because animal shelters are non-profit agencies and have rescued and resuscitated these dogs, they are emotionally invested in finding the right match. 4. You'll save money. Pure bred dogs can be very expensive. For a nominal fee or donation to the animal shelter, you can have a dog that will be a trusted companion for life. 5. You'll feel good about what you've done. Rescuing a dog from near death will make you feel even better about getting a pet. Studies have shown that pets benefit humans emotionally and mentally by offering unconditional love. They are incredibly happy when you come through the door and can fill a void if you are at all lonely. 6. Consider being a foster parent. Many shelters such as the RSPCA have a fostering programme for people who are considering being a pet owner. This way you can see if the day-to-day caretaking of a dog works for you. If everything works out, you can then adopt the dog. 7. Purebreds aren't reserved for breeders. 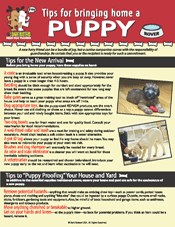 Many people think you have to go to a breeder to get a purebred. Not so; Many shelters and breed-specific shelter organisations have pure-bred dogs. The idea that animals in shelters are all ill-behaved misfits is totally wrong. Most dogs end up in shelters because of dog owners, not the pets themselves. That's why it is so important you do your research and don't make it a spur-of-the-moment decision. Should your adopted dog have any behavioural issues, a Bark Busters Home Dog Training Behaviour Therapist & Trainer will be happy to help you address any behavioural issues you may be experiencing. There are dogs that are tougher than others to train, but dog aggression, lead pulling, housebreaking and more can all be overcome.